« Do you know what day is coming? This past week, I was fortunate to participate in this “International Multiplier Training” held in Pustomyty, Lviv region (Ukraine). In short, everything happens for a reason and that reason is to learn. From now, I doubt I’ll forget to check my passport before traveling outside Europe, so everything has its positive side. In short, thanks to the help of a good friend and the Spanish Embassy in Warsaw, I could travel back to L’viv! “International Multiplier Training” has born as an initiative of several organizations like: SCI Germany, AVI Moldova, ArmActive Armenia, AVIT Ukraine… and is organized with the financial support of German Federal Foreign Office. “The initiated project is a set of activities aiming at raising young peoples and societies awareness on cultural aspects of different conflicts, at the same time by passing Intercultural Learning and Non Violent communication competences to youngsters to prevent and/or lower the possibilities of future conflicts”. 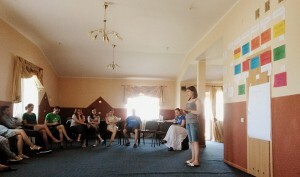 The first Phase, was this first training that I have attended, which aim was to raise awareness on cultural aspects of different conflicts, at the same time empowering participants in Intercultural Learning (ICL) and Non Violent communication competences as preparation for the youth villages (“The Second Phase”). How we get this knowledge? The week was full of workshops, activities and games. You might think this was a kind of vacation but no! We had little time for the “free time”. From 9:00 a.m. to 7:00 p.m. we were immersed in the training and after dinner, we attended workshops that other participants proposed or to the presentations of thedifferent countries which we represented. This was very interesting considering that the presentations ended with a tasting of typical food or drink, accompanied by dances and music of the country, so we were going to bed very excited and happy! The content of the program for the week included: Intercultural Training, Conflict & Peace, Propaganda & Social Media, Role of Multiplier, Facing Conflict, Peace Management Solutions, Human Rights… Issues that we understood and integrated through games and reflections. To increase CSO’s expertise on dealing with different type of conflicts in a Non Violent way. 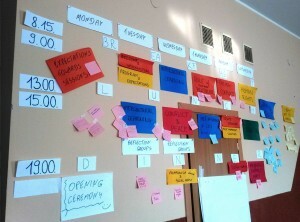 Implementation of local activities/projects planned during the Open Space. Fourth Phase: Publication (online/CD) of the results of Open Space Conference – Book of Proceedings and inputs from participating CSOs and Experts. I really hope attending the remaining phases, in order to integrate all these theoretical and practical concepts, and get the necessary capacity to become a “Leader on Intercultural Learning, Non Violent Communication/Peace Education and Conflicts”, able to speak better and with confident about these issues and able to give workshops about it. Everything has been a learning that has enriched me so much personally and professionally, opening horizons to new prospects of future career. 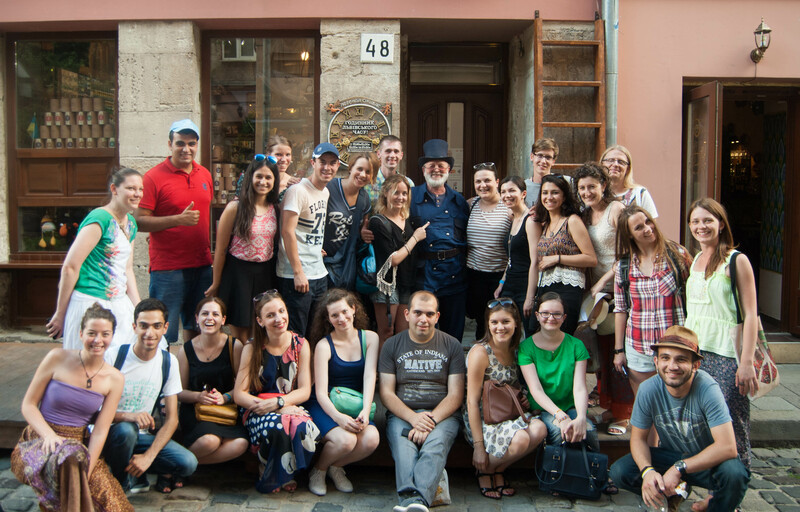 For this experience and the opportunity to meet so many nice people from this part of Europe, I say thanks!